As climate change becomes increasingly evident, reducing greenhouse gases including CO2 has received growing attention. Because CO2 is thermodynamically very stable, its conversion into value-added chemicals such as CO, CH4, or C2H4 is difficult, and developing efficient catalysts for CO2 conversion is important work. CO2 can be converted using the gas-phase reaction, liquid-phase reaction, photocatalytic reaction, or electrochemical reaction. The gas-phase reaction includes the dry reforming of methane using CO2 and CH4, or CO2 hydrogenation using CO2 and H2. The liquid-phase reaction includes formic acid formation from pressurized CO2 and H2 in aqueous solution. The photocatalytic reaction is commonly known as artificial photo-synthesis, and produces chemicals from CO2 and H2O under light irradiation. The electrochemical reaction can produce chemicals from CO2 and H2O using electricity. In this review, the heterogeneous catalysts used for the gas-phase reaction or electrochemical reactions are discussed, because the liquid-phase reaction and photocatalytic reaction typically suffer from low productivity and poor durability. Because the gas-phase reaction requires a high reaction temperature of > 600 °C, obtaining good durability is important. The strategies for designing catalysts with good activity and durability will be introduced. Various materials have been tested for electrochemical conversion, and it has been shown that specific metals can produce specific products, such as Au or Ag for CO, Sn or Bi for formate, Cu for C2H4. Other unconventional catalysts for electrochemical CO2 reduction are also introduced. Global energy consumption has soared due to increasing population and industrialization, and anthropogenic CO2 emissions have rapidly grown because the main energy resources being consumed today are fossil fuels. Increasing CO2 concentration in the atmosphere is leading to global warming and a range of environmental problems. Global average temperatures have increased by 0.8 °C over the last 70 years . International efforts have been proposed to reduce CO2 emissions, such as the multinational Paris agreement. At the same time, many studies have focused on the development and application of renewable energy sources as a means of reducing dependence on fossil fuels [2, 3], as well as technologies for capturing and utilizing CO2. CO2 utilization would reduce greenhouse gases in the atmosphere and oceans where they can do harm, and CO2 can also be used to produce valuable chemicals [4, 5, 6]. Because CO2 is thermodynamically the most stable carbon species, its conversion into value-added products usually requires the expenditure of considerable energy. Various chemical processes have been reported that can convert CO2 into chemicals such as CO, hydrocarbon, or oxygenated hydrocarbon. Gas-phase reaction, liquid-phase reaction, electrochemical, and photocatalytic reaction methods have been reported. Gas-phase reactions include the dry reforming of methane (CH4 + CO2 → 2CO + 2H2), CO2 hydrogenation (CO2 + H2 → CO + H2O, which is also called the reverse water-gas shift reaction; CO2 + 4H2 → CH4 + 2H2O). The liquid-phase reaction includes the production of formic acid using CO2 dissolved in aqueous phase (CO2 (aq) + H2 (aq) → COOH). Several review papers about CO2 hydrogenation can be found in the literatures [7, 8, 9]. However, CO2 hydrogenation or formic acid formation requires H2, which is mainly produced from methane by steam reforming, which also produces a large amount of CO2. Electrochemical CO2 reduction has received a great deal of attention recently, but the low solubility of CO2 in aqueous solution has been a major obstacle. The use of a gas diffusion electrode has enabled the direct use of gaseous CO2 for electrochemical conversion. This electrochemical conversion process does not require H2 as a reactant. Photocatalytic CO2 conversion also received growing attention because of its similarity to photosynthesis, but the process typically suffers from low productivity and poor stability. Efficient catalysts can minimize the energy needed for reactions by reducing the activation energy. Various catalysts are being actively investigated to enhance CO2 conversion and to control selectivity toward specific target products. In this review, we will focus on the heterogeneous catalysts for gas-phase CO2 conversion and electrochemical CO2 conversion. In the gas-phase CO2 conversion, catalysts used for the dry forming of methane, CO2 hydrogenation producing CO, and CO2 hydrogenation producing CH4 will be discussed. In the electrochemical CO2 conversion, the specific catalysts used to produce CO, formic acid, and hydrocarbons will be discussed. Reviews of formic acid formation or photocatalytic CO2 conversion can be found in the literature [10, 11]. The dry reforming of methane (DRM) (Eq. (1)) can consume two greenhouse gases (CO2 and CH4) simultaneously and produce synthesis gas (abbreviated syn-gas, a mixture of CO and H2). The ratio of H2 to CO products is 1, which is much lower than other reforming reactions, such as the steam reforming of methane (SRM) and partial oxidation of methane (POM) (Eqs. (2) and (3)). The low ratio of H2/CO is useful for synthesizing long chain hydrocarbons via the Fischer-Tropsch reaction [12, 13, 14]. The DRM reaction is endothermic, requiring a high reaction temperature of > 700 °C, which results in high energy cost [15, 16]. Figure 1 shows the DRM equilibrium plots at various temperatures and 1 atm . The high temperature is required to attain high product yield. Side reactions such as the reverse water gas shift (RWGS) reaction (Eq. (4)) or carbon gasification reaction (Eq. (5)) can occur. The RWGS reaction affects the H2/CO ratio; because the RWGS reaction happens more, the H2/CO ratio decreases and CO2 conversion increases. The steam produced from the RWGS reaction can react with carbon and produce syn-gas. Also, deactivation occurs easily due to sintering and coke deposition, which degrades long-term durability [12, 18, 19, 20]. Carbon is produced due to the Boudouard reaction and methane cracking (Eq. (6) and Eq. (7)). The carbon is thermodynamically the main product at temperatures lower than 570 °C . DRM can proceed above 640 °C with methane cracking. The Boudouard reaction can’t occur above 820 °C. Carbon can be produced by the Boudouard reaction, and methane cracking occurs from 570 to 700 °C . Coke deposition is thermodynamically favored at low temperature. The carbon produced by methane cracking is likely to react with steam or carbon dioxide at high temperature. Thus, the DRM reaction should be performed at high temperature. Various heterogeneous catalysts have been developed, including metal supported catalysts, perovskites, and solid solution catalysts [22, 23, 24, 25, 26]. Precious metals (Pt, Rh or Ru) are known to have high activity and durability, although at high price. Non-precious metals (Ni or Co) have been widely investigated as well. In this section, each component of DRM catalysts will be explained, and the strategies to enhance their activity and durability for DRM will be demonstrated. Precious metals such as Pt, Rh and Ru are highly active for DRM and also resistant against coke deposition [27, 28, 29, 30]. The precious metal-based catalysts show high activity in spite of the very small amount of metal catalyst used. For example, the Ru/ZrO2-SiO2 catalyst shows high activity and durability, as shown in Fig. 2, even though the Ru content was only 0.13 wt% . Non-precious metals such as Ni or Co have been used more for DRM due to their cheap price and abundance [32, 33, 34]. Ni catalysts have shown a level of activity comparable to precious metals . Alloyed metal catalysts are widely used for DRM because they have a different electronic structure than monometallic materials . For example, the Ni-Fe alloy catalyst exhibited interesting behavior for DRM, as shown in Fig. 3. 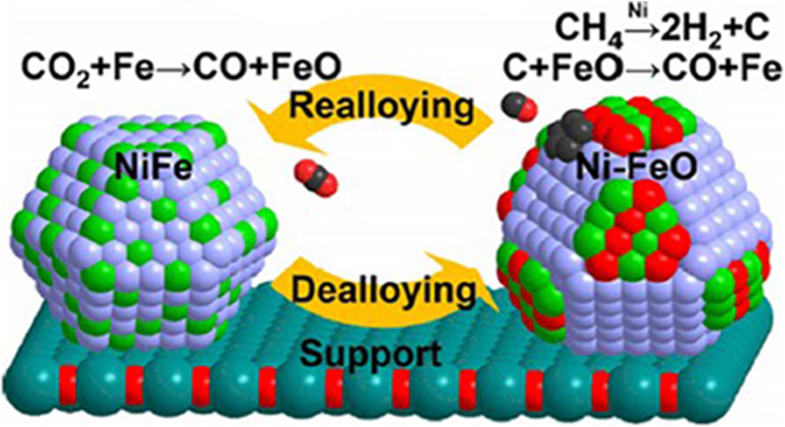 Monometallic Ni or Fe catalysts have shown poor durability, because the monometallic Ni catalyst is easily deactivated by coke deposition, and Fe is inactive for DRM. During the DRM reaction, the Ni-Fe alloy surface is partially oxidized; Ni maintains an oxidation state, while Fe is oxidized by CO2. The oxidized FeO causes dealloying of the surface, and the FeO then oxidizes the carbon deposited on the surface, returning to Fe. The Fe2+/Fe redox cycle plays a key role in enhancing durability in the DRM reaction . Supports can affect catalytic activity and durability for DRM . The interaction between a support and metal can change the dispersion of the metal, resistance against sintering, and the electronic structure of the metal [28, 31]. Figure 4 shows the X-ray absorption fine structure (XAFS) analysis results of Rh catalysts deposited on various supports of Al2O3, TiO2, etc. The X-ray absorption near edge structure (XANES) analysis in Fig. 4a shows that the Rh electronic structure has changed as a result of the support materials. TiO2 supported Rh has a metallic character, while ɣ-Al2O3 supported Rh has an oxidic character. Figure 4b shows extended X-ray absorption fine structure (EXAFS) spectra. The Rh-Rh peak at 0.24 nm has different intensities with various supports. When the intensity is higher, the Rh-Rh coordination number is higher, indicating lower dispersion. The support materials affect the dispersion of the metal and chemical environment. . The strong-metal support interaction (SMSI) causes a high dispersion of metals resulting in small sized metal nanoparticles with enhanced DRM activity. In addition, it increases resistance against sintering with enhanced durability [31, 38, 39]. The acidity and basicity of the support also affects catalytic properties. CO2 is activated by forming formate with surface hydroxyl on an acidic support. CO2 is activated by forming oxy-carbonate on a basic support. On an inert support such as SiO2, both CO2 and CH4 are activated by metal with faster deactivation. A DRM catalyst supported on an inert material (SiO2) is usually less active and less durable than on an acidic support (Al2O3) or basic support (La2O3) [23, 30, 40, 41]. Promoters have been widely used for DRM. Alkali metal oxides such as K2O or CaO have been used to increase the basicity of the catalyst enhancing CO2 adsorption [42, 43, 44]. CeO2 or ZrO2 were used to increase oxygen mobility [22, 45, 46, 47, 48, 49, 50]. The transition between Ce3+ and Ce4+ can occur easily on CeO2. The coke formed on Ni sites could be oxidized by using the redox cycle of CeO2 with enhanced coke-resistivity . The surface hydroxyl group can participate in the DRM surface reaction. Zhu et al. reported that the energy barrier for CH and C oxidation by surface OH was slightly lower than the barrier for surface O . Ni et al. showed that the surface hydroxyl groups were increased by adding B2O3 to Ni catalyst, as shown in Fig. 5. The surface hydroxyl groups oxidize the carbon formed from methane decomposition, with enhanced resistance against coke deposition . The key objective of catalysts developed for DRM is how to prevent coke deposition. 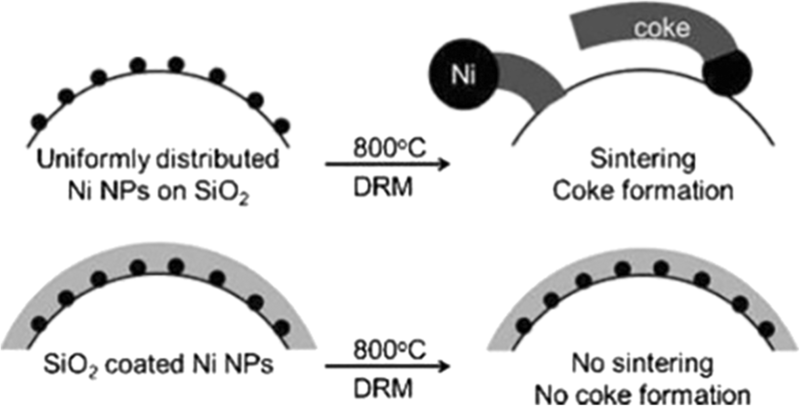 Highly durable catalysts should avoid sintering because large Ni particles have severe coke formation at the surface, while small Ni nanoparticles do not have carbon deposition. In this section, various strategies to control the nano-structures of catalysts to prevent coke deposition will be discussed. In order to prevent the sintering of nanoparticles, an inorganic oxide overlayer was formed on Ni nanoparticles [53, 54, 55, 56, 57]. As shown in Fig. 6, Ni nanoparticles with an average size of 5 nm were immobilized on SiO2 spheres, then porous SiO2 overlayers were formed on the Ni nanoparticles. The resulting Ni/SiO2@SiO2 catalyst showed high durability for DRM; activity was maintained for 170 h at 800 °C without Ni sintering . Using this nano-structure, the effects of Ni size and support were evaluated independently. To evaluate the size effect, various sizes of Ni nanoparticles were deposited; 2.6, 5.2, 9.0, 17.3 nm. CH4 turnover frequency clearly increased as Ni size decreased. The size effect could be evaluated exactly because the Ni size was barely changed even after the DRM reaction at 800 °C. The different metal oxide overlayers of Al2O3, MgO, ZrO2, TiO2, SiO2 were formed on Ni/SiO2 with a Ni particle size of 5.2 nm. The Al2O3 and MgO overlayers showed enhanced CH4 turnover frequency, while the other overlayers hardly showed enhancement . Similarly, core-shell structures have been investigated; an outer shell such as SiO2 separates the catalytic core material such as Ni nanoparticles while preventing sintering [58, 59]. The core-shell structures have been widely used in DRM, CO oxidation, and methane combustion reactions [60, 61, 62]. Li et al. developed a Ni yolk@Ni@SiO2 catalyst, where a SiO2 shell with Ni nanoparticles embedded in the middle surrounds a Ni yolk core. This catalyst was highly active for DRM, and it maintained activity without sintering for 90 h at 800 °C . Mesoporous materials have been widely used as supports because they provide a large surface area and facile mass transfer [63, 64]. Mesoporous Al2O3 in particular has been widely used because it can have a strong interaction with a metal active phase, and it has high thermal stability [65, 66]. Conventional impregnation with a metal precursor might cause pore blockage. Wang et al. developed ordered mesoporous Ni-Ce-Al oxide for DRM with self-assembly induced by solvent evaporation . The Ni nanoparticles were uniformly deposited in the pore channel of the mesoporous support. The catalysts showed high durability because the Ni nanoparticles did not sinter severely due to spatial confinement. It maintained high DRM activity for 80 h at 700 °C. CO2 can react with H2 to produce CO via the reverse water gas shift reaction. The RWGS reaction was first observed in 1914 by Bosch and Wild when they tried to produce H2 from steam and CO over FeOx catalyst . RWGS can produce syn-gas, which is useful for synthesizing valuable chemicals such as ammonia, methanol, and fuels, from CO2 . However, the RWGS reaction is endothermic, requiring high temperature, and CO is the dominant product above 600 °C as can be seen in Fig. 7 . Developing catalysts with high activity and durability is essential to obtain a maximum yield. Two reaction pathways, the redox mechanism and formate decomposition mechanism, have been reported for CO formation from RWGS. A case with a Cu catalyst followed the redox mechanism; CO2 oxidizes Cu0 to Cu+ generating CO, and H2 reduces Cu+ to Cu0 forming H2O . In the formate decomposition mechanism, CO2 hydrogenates to formate, followed by cleavage of the C=O bond . Catalysts for RWGS should contain active sites to dissociate hydrogen and adsorb CO2. Precious metal-based catalysts have been widely used for RWGS because of their superior activity for hydrogen dissociation. The effect of Pt particle size on the selectivity of CO and CH4 was identified using rutile TiO2 as a support. Small Pt particles preferred CO formation. Pt-CO species were the key intermediate deciding CO selectivity in the RWGS reaction . The Au@UIO-67 catalyst was synthesized for the RWGS reaction. UIO-67, which is porous metal-organic framework, was used to disperse Au nanoparticles, then the interaction between the metal and support was enhanced. Au@UIO-67 showed high activity and CO selectivity for RWGS . A Pd–In/SiO2 catalyst was synthesized by the wet impregnation method and used for RWGS. While the Pd/SiO2 showed 88% CO selectivity, Pd-In/SiO2 showed 100% CO selectivity without CH4 formation. The difference was derived from the modified CO adsorption energy. CO adsorption on the Pd-In bimetallic surface was much weaker than that on the Pd surface . For the large scale conversion of CO2, non-precious metal catalysts are preferred due to cost and scarcity. Ni and Cu-based catalysts are promising because they also show high activity and selectivity for RWGS. But they usually suffer from sintering at high reaction temperatures. Various ways of improving thermal stability have been investigated. Rossi et al. prepared highly dispersed Ni nanoparticles supported on SiO2 using magnetron sputtering deposition. The prepared catalyst showed better activity at T > 600 °C and stability than a conventional catalyst prepared by the wet impregnation method . Ni/Ce-Zr-O catalysts were synthesized and used for RWGS. Ni species were incorporated into the lattice of a Ce-Zr-O solid solution. High activity, stability and selectivity were achieved for the conversion of CO2 to CO . Cu/ZnO catalysts with various Cu/Zn ratios were synthesized using aurichalcite precursors. The interface between the Cu and ZnO affected the catalytic activity for CO2 activation. As the Cu ratio increased, the Cu domain size increased and the CO generation rate decreased . Zheng at al. prepared CeCu composite catalysts with different Ce/Cu mole ratios for RWGS. The Ce3+-oxygen vacancy-Cu0 structure was stabilized. Cu sites became more electron deficient following electron transfer from Cu to Ce, with enhanced adsorption of CO2 and H2. The Ce1.1Cu1 catalyst showed the highest catalytic performance for the RWGS reaction . Transition-metal carbides (TMCs) are promising for RWGS because they can dissociate hydrogen and C=O bonds. With their abundance and low cost, many researchers have reported on TMCs based-catalysts for RWGS. A recent study revealed that Mo2C showed higher CO2 conversion and CO selectivity in the RWGS than other TMCs such as TiC, TaC, ZrC, WC, and NbC . 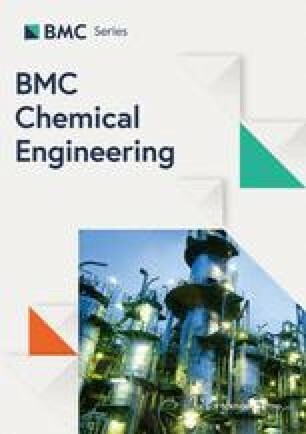 The experimental and density functional theory (DFT) results showed that the oxygen binding energy and activation barriers for oxygen removal were the main factors for identifying effective catalysts for CO2 reduction. Willauer et al. prepared K-Mo2C supported on γ-Al2O3 . By modifying with a K promoter, CO selectivity and stability increased, with only 7.3% deactivation after 68 h. CO2 adsorption was enhanced and CO2 dissociation barriers were reduced on the K-promoted catalyst. Illas et al. reported that polycrystalline α-Mo2C catalyst showed 16% CO2 conversion and 99.5% CO selectivity at 673 K in RWGS . The presence of a (101)-Mo/C surface on the catalyst provides active sites for RWGS. Ma et al. synthesized a highly efficient and stable Cu/β-Mo2C catalyst for the RWGS reaction . Because of strong interaction between the Cu and β-Mo2C which dispersed the Cu particles uniformly on the support, Cu/β-Mo2C showed high activity and stability compared with Pt- and Cu-based catalysts. Recently, Ajayan et al. reported a metal-free carbon-based catalyst for CO2 hydrogenation . Pyridinic N was doped at the edge sites of graphene quantum dots. The N dopants played a key role in inducing thermocatalytic CO2 hydrogenation activity. CO was produced dominantly at lower temperatures and CO selectivity increased to 85% at 300 °C. Recently, Ajayan et al. reported a metal-free carbon-based catalyst for CO2 hydrogenation . Pyridinic N was doped at the edge sites of graphene quantum dots. 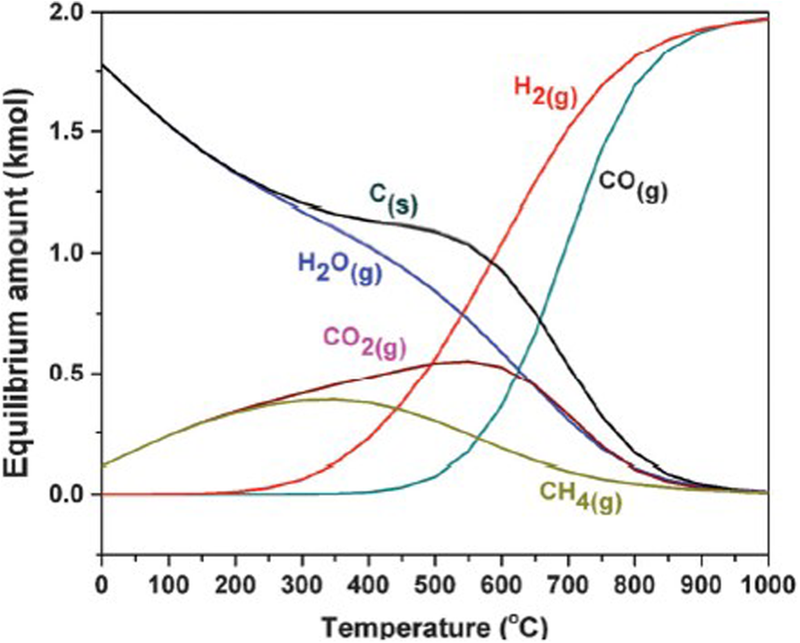 The N dopants played a key role in inducing thermocatalytic CO2 hydrogenation activity. CO was produced dominantly at lower temperatures and CO selectivity increased to 85% at 300 °C. CO2 hydrogenation can also produce methane. The CO2 methanation has recently received much attention as a way to store intermittent electricity, which is produced from solar cell or wind power . The surplus electricity can electrolyze water, producing H2. Then CO2 and the H2 can have reaction to produce methane, which can be used as a fuel. Various precious metals, such as Ru, Rh, Pd, have been used as catalyst. Ni deposited on various supports have also been used for the CO2 methanation . Amal and Dai et al. produced methane from CO2 and H2 using porous perovskite materials [86, 87]. The perovskite materials with ABOx crystalline structure have been particularly interesting materials in solar cells or catalytic applications . Ni-Rh nanoalloy nanoparticles were formed by ex-solution on mesoporous LaAlO3 perovskite and showed good performance for CO2 methanation with turnover frequency of 13.9 mol/mol/h . Similarly, mesoporous Ni/Co3O4 was prepared with high activity for CO2 methanation at low temperature . Light is considered an important and ultimate energy source for CO2 reduction, in a process also known as artificial photosynthesis. Various semiconductor-based photocatalysts have been investigated for CO2 reduction [89, 90]. However, they typically have shown low activity and poor durability. Instead of using light for exciton production, light can be used as an auxiliary energy source to minimize overall energy usage. Recently, unique light-assisted surface reactions have been reported [91, 92, 93]. They can occur through excitation of electrons in hybridized orbitals of adsorbed reactant molecules on the metal catalyst surface. We recently reported light-assisted CO2 hydrogenation on heterogeneous metal catalysts . Various metals were tested in a photoreactor by changing temperature, light intensity, and light wavelength. 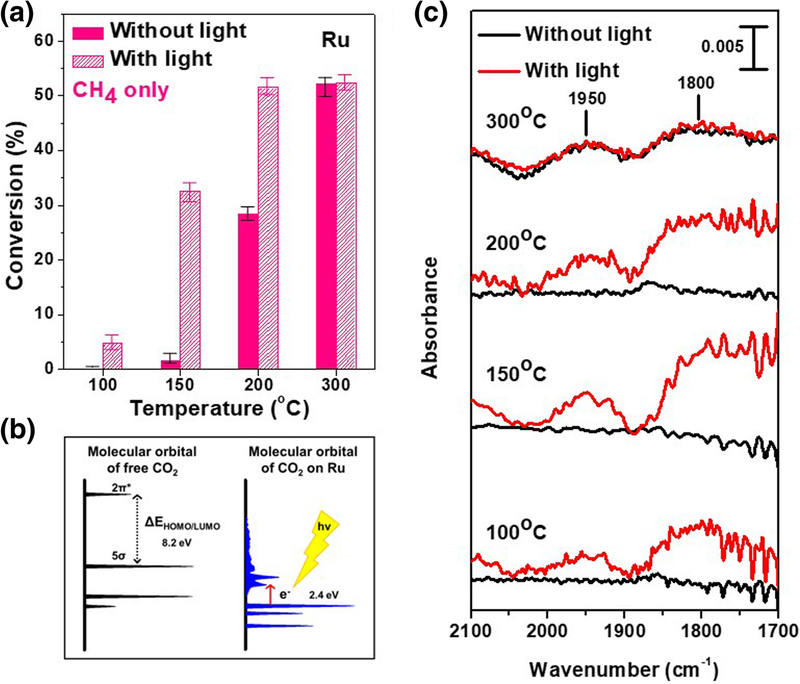 CO2 conversion was enhanced on a Ru or Rh catalyst upon light irradiation, as shown in Fig. 8a. They produced CH4 selectively. But Pt, Ni, Cu only produced CO without any enhancement upon light irradiation. As the light intensity increased, CO2 conversion also increased linearly, indicating that hot electrons generated upon light irradiation were responsible for the CO2 conversion enhancement. In-situ UV spectroscopy results measured under CO2 flow also confirmed that CO2 adsorbed on the Ru surface can absorb visible light. DFT calculations showed that the band-gap energy decreased from 8.2 eV for free CO2 to 2.4 eV for CO2 adsorbed on Ru, as shown in Fig. 8b. This small band-gap energy enabled the absorption of visible light. The DRIFT measurement in Fig. 8c shows that CO2 was cleaved to CO with light irradiation on a Ru catalyst. By using both light and heat, the overall energy could be reduced to 37% of the case when only heat was used, to achieve the same CO2 conversion of 15%. Additionally, the CO2 conversion was easily initiated or terminated simply by turning the light on or off. The electrochemical CO2 reduction reaction (CO2RR) involves CO2 conversion on an electrode powered by electric bias. Because CO2 is highly stable with a linear molecular shape having two C=O bonds, it requires a high overpotential to initiate the reaction . An overpotential is the difference between the actual applied potential and theoretical thermodynamic potential. Heterogeneous electrocatalysts should be used to reduce the overpotential. The performance and reaction pathway highly depend on the electrocatalyst. CO2 is electrochemically reduced to chemicals or fuels at the cathode, and the counter anode reaction is water oxidation producing oxygen, typically known as oxygen evolution reaction (OER) . A distinct feature of the electrochemical CO2 reduction is its compatibility with renewable sources. Because CO2 is thermodynamically stable, the CO2 conversion involves high energy consumption [95, 97]. This energy can be obtained from renewable sources, such as solar or wind power, and the obtained electricity can drive the electrochemical CO2RR. Additionally, electrochemical CO2 conversion can be used for renewable energy storage [95, 98]. Since the renewable power is inherently intermittent and undistributed, storing the electricity in chemical bonds might be useful . Fuels such as CH4 can be used in current conventional power systems. Various chemicals, from several C1 products to multi-carbon products, can be directly generated from electrochemical CO2RR [99, 100, 101]. Various products can be obtained from the electrochemical CO2RR. Table 1 shows several representative CO2RR pathways with thermodynamic standard potentials versus a reversible hydrogen electrode (RHE) [96, 102]. Neutral pH buffer electrolytes have been widely used for electrochemical CO2RR studies, and the potentials at neutral pH were shown . The CO2RR typically competes with the hydrogen evolution reaction (HER). Suppressing HER is one of the most important issues in the development of electrocatalysts for CO2RR. In this next section, the electrocatalysts are classified according to products of CO, formate, and multi-carbon species. The metals generating each product are explained. Unconventional catalysts are additionally introduced. Au, Ag, Zn, and Pd generate CO as a predominant product from CO2RR . CO is an important feed chemical for various chemical processes . The key descriptor for CO production is the binding energy of *COOH. 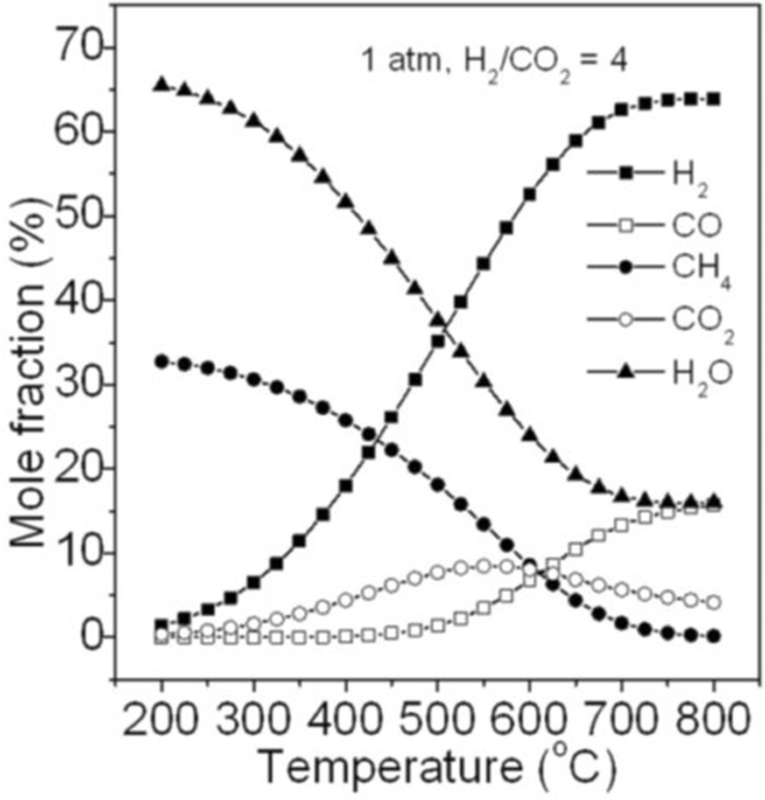 The metals bind to *COOH sequentially yielding *CO after dehydration, as shown in Fig. 9 [100, 103, 104]. The reaction pathway toward CO is two electron-consuming, which is relatively facile . When CO is the main product, there is no separation issue because gaseous CO would be naturally separated from liquid electrolyte. Various works controlling the nano-structures of these metals have been reported to have high CO production from CO2RR; monodispersed Au or Ag nanoparticles [105, 106, 107, 108], ligand-free Au nanoparticles with < 2 nm , inverse opal Au or Ag thin films [110, 111], ultrathin Au nanowires , Au nanoneedles with sharp tips [113, 114], concave rhombic dodecahedral Au nanoparticles with high-index facets , TiC-supported Au nanoparticles , hexagonal Zn particles , electrodeposited Zn dendrites , anodized Zn foil , small sized Pd nanoparticles with rich edge sites [120, 121], Au electrode with adsorbed CN− or Cl− ions , Ag nanoparticles with surface-bonded oxygen , amine-capped Ag nanoparticles . Although it is hard to compare their performance because of their different reaction conditions, the conversion of CO2 to CO usually reaches 90 ~ 100% faraday efficiency at the relatively low overpotential of 0.4 ~ 0.7 V.
Sn, Bi, Hg, Cd, and Pb can produce formic acid (HCOOH) or formate (HCOO−) in the CO2RR . The key descriptor toward formate formation is the binding energy of *OCHO . If the electrode surface is bound to intermediates via oxygen rather than carbon, formic acid will be generated, as shown in Fig. 13 . It was also suggested that formate could be generated through an *COOH intermediate at some reaction conditions [125, 126]. Because the pathway generating formates follows a two electron pathway, like CO, some electrocatalysts might exhibit good CO2RR performance for formic acid production . However, the faradaic efficiency for formic acid production is usually lower than that for CO production . Nevertheless, formic acid is the only liquid product which can be obtained with high selectivity from CO2RR at this stage . Various studies which have controlled the nano-structures of these metals have been reported for formate production; nanostructured Sn/SnOx thin film , Sn or Sn oxide nanoparticles with < 5 nm [129, 130], reduced SnO2 porous nanowires , hierarchical mesoporous SnO2 nanosheets , electrodeposited Sn dendrites , atomic layer deposited Sn or Sn sulfide on nanoneedle templates , ultrathin Bi nanosheets , oxide-derived Pb . Due to toxicity of Hg, Cd, and Pb, most works have mainly used Sn or Bi. The formate can be obtained with a faraday efficiency of 60 ~ 90% at an overpotential of 0.8 ~ 1.4 V [95, 101]. On other metals, the selectivity of CO2RR can be controlled by changing the reaction conditions to produce formic acid. For example, CO2RR on W, Fe, Co, Ni, Zn, Pt, Rh, and Ir have been investigated at high pressure . They showed significant activity toward formate formation, although their selectivity was not as high as Sn or Bi. Pd also exhibited good performance for formic acid production although it also significantly produced CO [138, 139]. Cu is the only element that can make a C-C bond directly from CO2RR with meaningful selectivity [95, 101]. Multi-carbon products such as C2H4 can be generated with Cu. Figure 10 shows the possible products obtainable from electrochemical conversion on a Cu electrode. It was reported that CO, formate, CH4, C2H4, and H2 could be obtained on a Cu electrode . 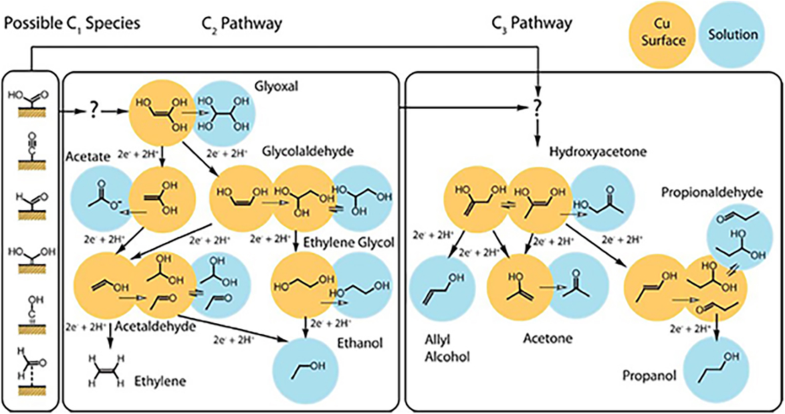 Ethanol, n-propanol, allyl alcohol, a trace amount of methanol, glycolaldehyde, acetaldehyde, acetate, ethylene glycol, propionaldehyde, acetone, and hydroxyacetone were simultaneously observed in the large overpotential region, higher than 1 V .
The reaction mechanism of CO2RR on a Cu electrode is highly complicated. Figure 10 provides the possible reaction pathway maps. Many other pathways on the Cu electrode have also been proposed [141, 142, 143]. The *CO intermediate is generally regarded to be a key intermediate for further reduction, because *CO can be obtained at mild potentials, and C2H4 was observed only with significant concentrations of *CO [144, 145, 146]. The protonation of *CO to *CHO needs to overcome an activation barrier of 0.74 V, which is considered a rate-determining step for further reduction to C1 products like CH3OH or CH4 [145, 147]. The *CHO transforms to *CH2O, *CH3O, and *CH4 following sequential proton coupled electron transfer (PCET) [142, 147]. The *CHO is also a key intermediate for making C-C bonds via *CO-*CHO coupling . Additionally, *CO-*CO coupling can also produce C-C bonds [141, 148, 149, 150]. However, the C-C coupling pathway has not been elucidated yet, although it is known that Cu (100) is the best surface to generate *CO-*CO coupling with the lowest energy barrier [150, 151]. As a result, C2H4 formation is favored on Cu (100) [151, 152, 153], whereas CH4 is more readily produced on Cu (111) [147, 154]. The pathways for further reduction from *CO-*CO or *CHO-*CO to oxygenates, such as acetate, ethanol, 1-propanol, are more complicated, because water from the electrolyte participates in the reaction donating oxygen [143, 148]. Because it is crucial to understand the reaction mechanism to design better catalysts for CO2RR, more studies on mechanism or intermediates, such as in-situ experiments, are needed. To tune selectivity, nano-structured Cu electrodes were studied, including Cu nanofoams , Cu nanowires [156, 157, 158, 159, 160], nanoporous Cu film , Cu nanocubes [151, 152, 153], Cu truncated nanocubes , Cu rhombic dodecahedrons , inverse opal Cu film , mesoporous Cu film , electro-redeposited Cu , electrodeposited Cu dendrites , prism shaped Cu , nano-structured Cu by battery cycling , hierarchical Cu pillar electrode , oxide derived Cu [160, 168, 169, 170]. The best CO2RR performance on Cu electrode was 60 ~ 70% faraday efficiency toward C2H4 production [170, 171]. So far, electrochemical CO2RR with single metal electrodes has been discussed. The studies with single metal electrodes can provide insight in terms of reaction mechanisms and the properties of each metal on CO2RR. Some unconventional electrocatalysts, such as oxide-derived metals, alloy metals, carbon materials, single-atom catalyst, have also exhibited interesting features. Distinct selectivity or activity was obtained. Recent studies have revealed that oxide-derived metal electrodes had improved catalytic performance compared to pristine metals . The most common way to prepare oxide-derived electrocatalysts is to oxidize the metal, then reduce it to its original metallic state. Oxide-derived Cu produced more C2 products of C2H4, C2H6, and ethanol than electro-polished Cu at the same overpotential [168, 170, 172]. Even C3 and C4 products of C3H7OH, C3H6, C3H8, C4H10 were observed from Cl ion-adsorbed oxide-derived Cu . Oxide-derived Sn showed much higher current density and faraday efficiency than a pristine Sn electrode for formic acid production [128, 133]. Oxide-derived Au  or Ag  showed superior faraday efficiency for CO production, with 90 ~ 100% at only 0.3 V overpotential, as shown in Fig. 11a. There have been debates on the origin of the enhancement of oxide-derived metal for CO2RR. Nano-structures induced in the catalysts or residual subsurface oxygen have been suggested as the source of the enhancement. Nano-structured surfaces with rich grain boundaries were obtained after oxidation-reduction cycling [176, 177]. The induced surface had more defect sites with higher binding energy to *CO and higher local pH which increased selectivity toward CO2RR while suppressing HER [169, 176, 177, 178]. It was also suggested that some oxygen remained in the subsurface despite the highly reducing conditions of the CO2RR. Ambient pressure XPS, in situ electron energy loss spectroscopy (EELS) experiments, and DFT calculations showed that the oxygen helped to activate CO2 on the surface in the initial step, as shown in Fig. 11b [179, 180]. However, a contradictory result was also reported, saying that the residual oxide was very unstable in the CO2RR condition, and that the amount of oxygen was negligible . By alloying with a secondary metal, the intrinsic catalytic performance of metal can be modified, and high selectivity or activity can be obtained for CO2RR [101, 127]. The enhancement was typically attributed to an electronic or geometric effect on the alloyed catalysts [101, 127]. The presence of a secondary metal led to modulation in the electronic structure of the active site. The binding energy between the active site and reaction intermediate could be tuned, changing the reaction pathway and the resulting selectivity [182, 183, 184, 185]. The secondary metal can also change the surface geometric structure, with different atomic arrangements of reactant or intermediates. The electronic and geometric effect has been systematically studied for Au-Cu bimetallic nanoparticle catalysts with different compositions [183, 184]. Figure 12a shows that the d-band center was downshifted as Au content increased, and the change in the electronic structure lowered the binding energy of *COOH and *CO. The Cu atom was bound to the oxygen end of the *COOH, while the Au atom formed a Au-C bond . The binding strength of each primary bond and the adsorption configuration were tailored by changing the composition of the bimetallic particles. 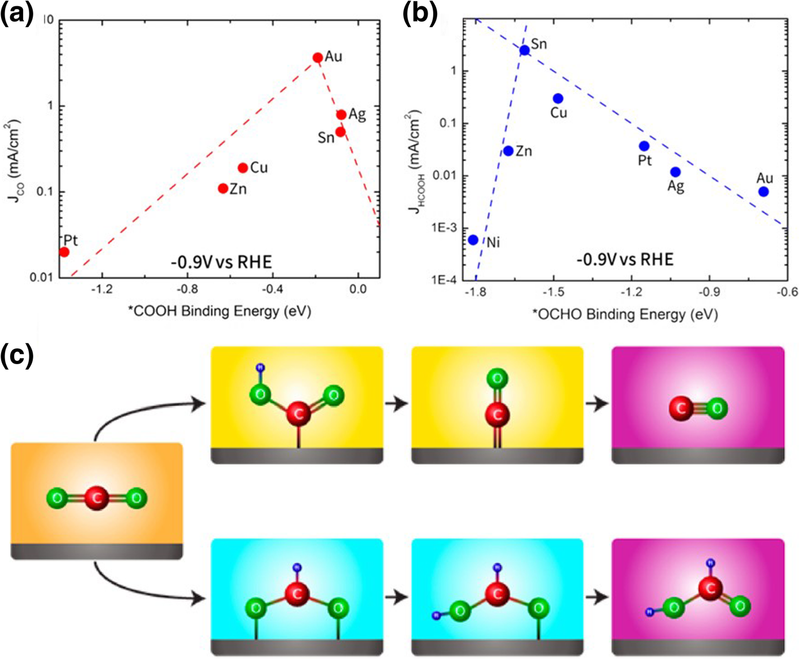 The ordered Au-Cu with three atomic overlayers of Au showed high performance for CO production due to the change in binding energy induced by atomic strains . The reaction path to the C-C coupling was suppressed by the geometric property of the ordered Au3Cu alloys, producing CH4 . The alloy catalysts deviate from the general scaling relationship of binding strength to intermediates, and by controlling mixing patterns, they can exhibit unique selectivity. For example, while ordered Cu-Pd nanoparticles selectively produced C1 products, mainly CO, but phase-separated Cu-Pd nanoparticles produced C2 products, mainly C2H4 . Cu ensemble sites were needed to make C-C bonds, and neighboring Pd sites further helped hydrogenation by hydrogen spillover. For multi-electron paths rather than a two-electron path, the key intermediates of *CHO or *COH should be formed, but proton-coupled electron transfer on *CO to form *CHO or *COH is a rate determining step . It was reported that if Cu was alloyed with a metal that could stabilize O, the adsorption configuration of *CHO or *COH on the Cu-M sites could be adjusted and their formation would be favored . Consequently, the overpotential for further reduction decreased and the selectivity of CO2RR could be controlled. Many other alloy catalysts were reported for CO2RR; Cu-In , Cu-Sn  for CO production, Pd-Pt , Ag-Sn , Sn-Pb , Sn-Pd , Au-Pd  for formate production. Carbon-based materials have been actively studied as promising electrocatalysts for electrochemical reactions, such as the oxygen reduction reaction (ORR), OER, and HER [194, 195]. Carbon materials have advantages for electrochemical applications, including facile transformability to various dimensions and shapes . Zero-dimensional carbon dots or graphene quantum dots, one-dimensional carbon nanotubes, two-dimensional graphene, and three-dimensional graphene aerogel can be produced with well-developed material science techniques . The carbon materials also possess high conductivity, high surface area, and good chemical and mechanical stability. Pure carbon materials are basically inert toward CO2RR. However, if heteroatoms such as N are doped in the carbon matrix, electrocatalytic activity is greatly enhanced. Negatively charged N sites are considered active sites for CO2RR [197, 198, 199]. N-doping introduces a Lewis base site to the catalyst, which is beneficial to stabilize CO2 [196, 197]. Various carbon materials, including N-doped carbon nanotubes [200, 201], N-doped graphenes , N-doped graphene quantum dots  were reported for CO2RR following the two-electron pathway. N-doped diamond produced acetate as well as formate with N-sp3C active sites . Other dopants such as S or B have also been used for CO2RR [205, 206]. Single atom catalysts (SAC) represent atomically dispersed metal catalysts on the surface of a support. They exhibit very distinct electronic structures and adsorption configurations of reactants and intermediates, with unique selectivity . SACs have been used for electrochemical ORR [208, 209], HER , formic acid oxidation reaction (FAOR) , and CO2RR . Ni single atoms on N-doped graphene can catalyze CO2RR producing CO selectively, as shown in Fig. 13 . Other metal atoms of Fe, Co, Mn, and Cu with slightly different d-band structure have shown different selectivity. 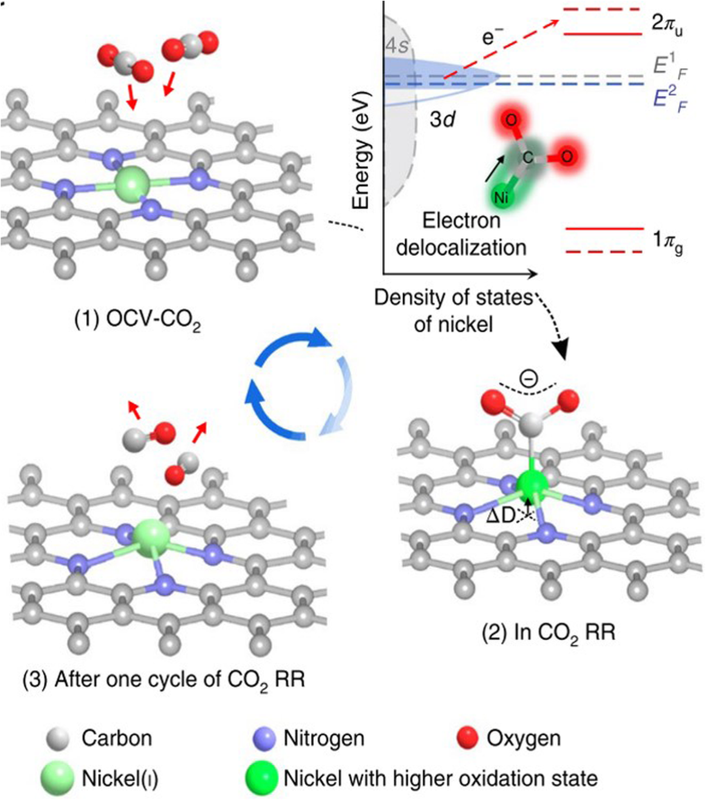 The coordination environment neighboring the Ni single atom has also been reported to affect the electronic structure and the binding energy of key carbon intermediates [213, 214]. When Cu was atomically doped into CeO2, the oxygen defect sites of the CeO2 regulated the oxidation state of Cu by forming Cu ion-O vacancy pairs. The single atomic Cu catalyzed CO2RR, producing CH4 with 58% faraday efficiency . DFT calculations have also predicted that the SAC structure can suppress HER while promoting CO2RR, with the proper choice of metal atom and supports [216, 217]. Single atom alloys where a single atomic metal is located on another metal surface have also been suggested by computational method as efficient catalysts for CO2RR . Although many intensive efforts have been dedicated to develop electrochemical CO2RR, the performance is still far from the performance obtained from gas-phase CO2 reduction. To enhance electrochemical CO2RR further, various other efforts have been tried, by tuning other factors. Electrolyte compositions, pH, and concentrations affected activity and selectivity [96, 219, 220, 221, 222]. Ionic liquids helped the activation of CO2 [223, 224]. An electric field near the electrode was shown to stabilize charged intermediates better [113, 220]. The additives could control selectivity via electron shuttling or the formation of surface films [225, 226]. A gas diffusion electrode (GDE) cell allowed unprecedentedly high current density [171, 227]. Stability, resistivity to catalyst poisons, and activity on diluted CO2 feed are also important for practical applications, but they have not yet attracted much interest at this stage. To develop this technology to a commercially feasible level, those many factors should be optimized. Heterogeneous catalysts used for catalytic CO2 conversion into valuable chemicals such as CO, CH4, C2H4 have been discussed in this review. Because CO2 is thermodynamically very stable, its conversion usually requires a lot of energy, but the production of that energy also emits considerable CO2. Obtaining negative net CO2 emissions is not easy, and the design of efficient catalysts for CO2 conversion is a key to reducing CO2 emissions. Catalytic CO2 conversion can occur in gas-phase, liquid-phase, or electrochemical cells. Because the solubility of CO2 is quite low in aqueous solution, the CO2 conversion in liquid-phase typically suffer from low productivity. Thus this review mainly focused on the conversion using gaseous CO2. Various metals, metal oxides, metal carbides, and doped carbon materials have been used as catalysts for CO2 conversion. Synthetic strategies have been developed to endure high reaction temperatures and minimize coke formation for dry methane reforming. The CO2 hydrogenation can be efficient, but they use H2 gas. The H2 gas is conventionally produced from methane steam reforming, which also produces considerable CO2. If H2 can be produced from water without CO2 emissions, CO2 hydrogenation in gas-phase would be a very powerful tool for efficient CO2 conversion. The gaseous product of CO or CH4 have been mainly considered as products from the CO2 hydrogenation, but liquid products such as formic acid or dimethyl ether would also have high value. Metal-based catalysts including precious metal or supported Ni catalysts have been used for the production of CO or CH4. Not many good heterogeneous catalysts have been found for the production of formic acid, instead homogeneous catalysts have been typically used. Robust heterogeneous catalyst producing formic acid might have high potential. Catalysts that use both heat and light as energy sources have been developed, to minimize total energy use. Electrochemical CO2 conversion has shown improved productivity using gas-diffusion electrode cells. It is also very promising because it directly uses CO2 and H2O for chemical or fuel production. The technology for electrochemical CO2 reduction is in its early stages, compared to other CO2 conversion technologies, but it is being investigated very actively. A variety of materials have been tested as catalysts for electrochemical CO2 reduction, and the catalysts should be tuned depending on the target products. Au or Ag produces CO, Sn or Bi produces formate, and Cu produces hydrocarbons such as C2H4. Considering the cell design of gas-diffusion electrodes, nano-structured catalysts should be optimized further. Most studies so far have used concentrated pure CO2 for the conversion. But the conversion of dilute CO2, especially in the presence of potential catalyst poisons such as S compounds, should be investigated more actively for practical applications. This work was financially supported by the National Research Foundation of Korea (NRF-2017M3D1A1040692) funded by the Ministry of Education, Science and Technology and the Saudi Aramco-KAIST CO2 Management Center. HL organized the overall structure. HSW wrote the manuscript about DRM, MSC wrote the manuscript about RWGS, JLee wrote the manuscript about light-assisted CO2 hydrogenation, JLim wrote the manuscript about CO2RR. All authors read and approved the final manuscript.